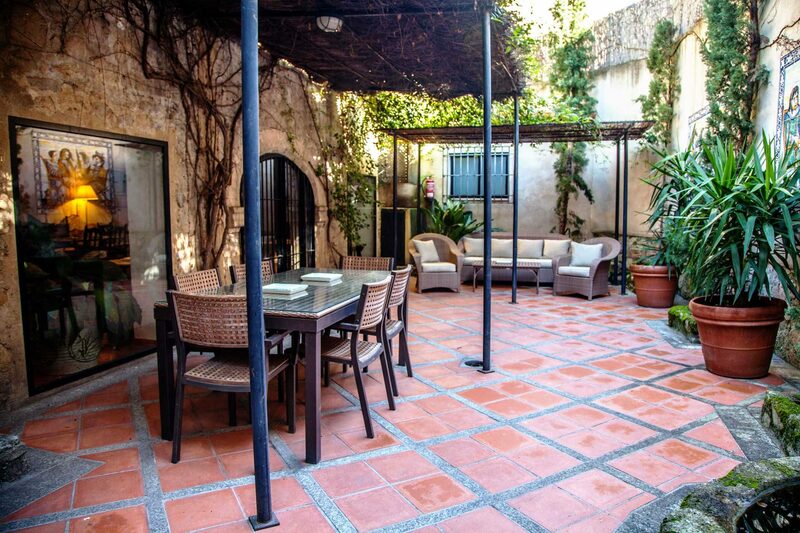 The Boutique Hotel Casa de Orellana can be found in the heart of Trujillo, within the walled Medieval part next to the Church of Santa María La Mayor de La Asunción. 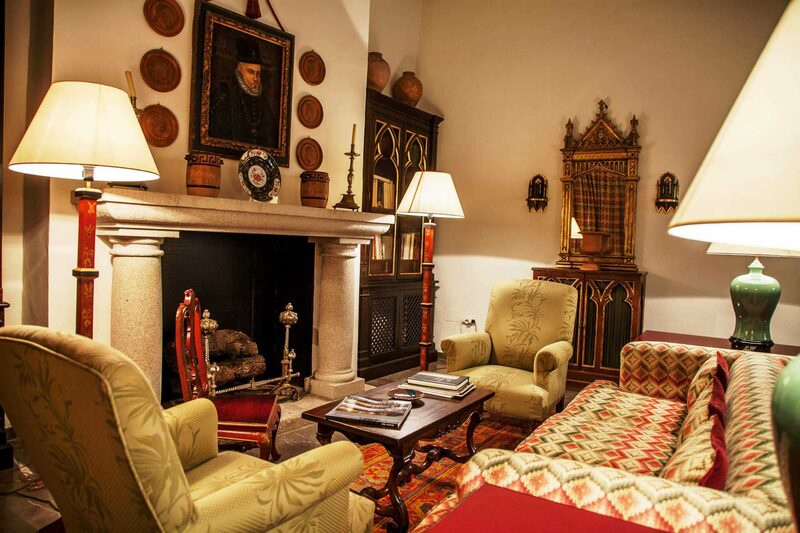 It is surrounded by the mansions and palaces of the conquistadors which are still emblazoned with their coats of arms. Birthplace of the discoverer of the Amazon River, Francisco de Orellana, the building dates from the 16th century. It boasts its own defensive crenelated tower, below whose battlements the main grand entrance is located. 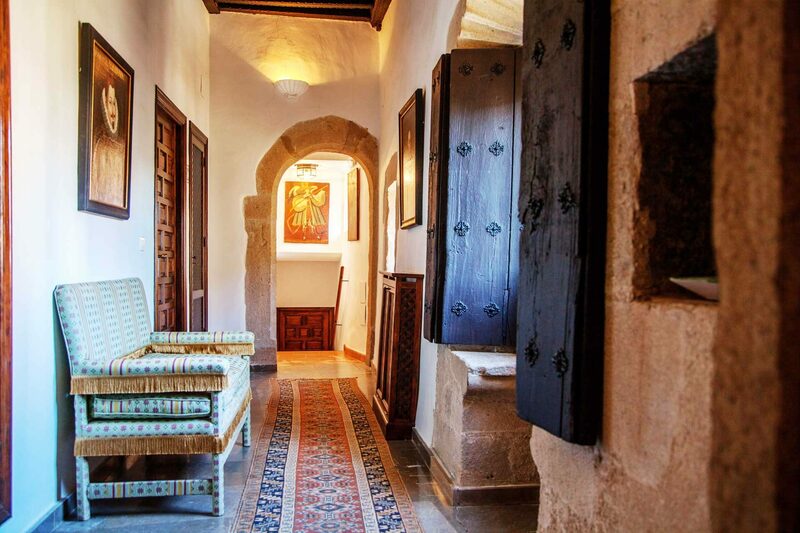 Above the arched doorway can be found the stone coat of arms incorporating the ten roundels of the Orellana family, giving testimony to the historic significance of the medieval city of Trujillo. 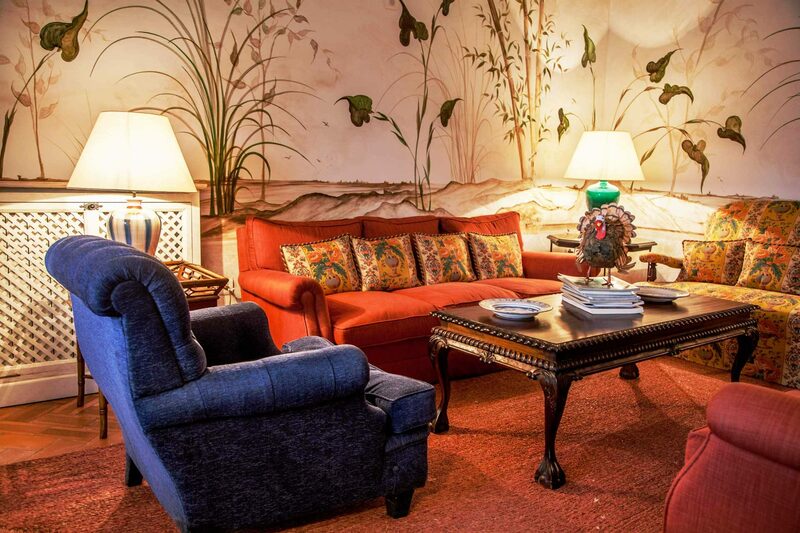 The Hotel’s five distinguished suites and rooms are all individually furnished with ensuite bathrooms. All rooms are named after historic figures involved in the Amazon River Expedition. 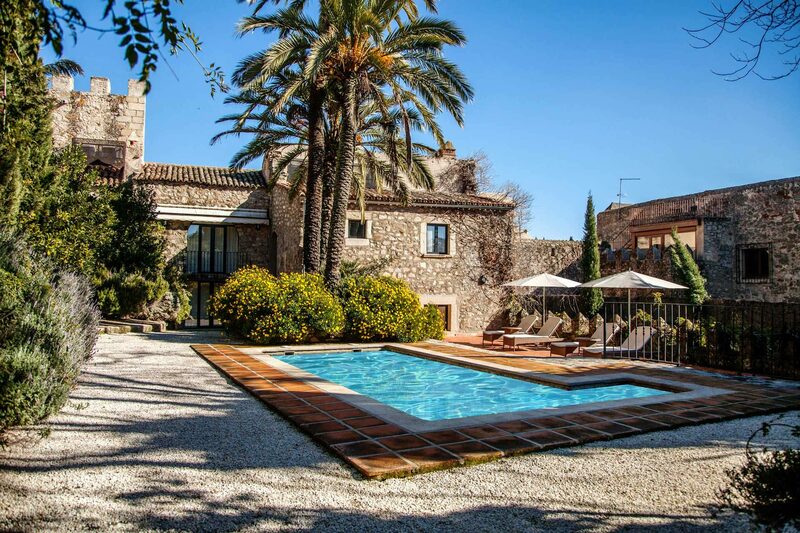 The Hotel has patio and garden with outdoor swimming pool for exclusive use of guests. 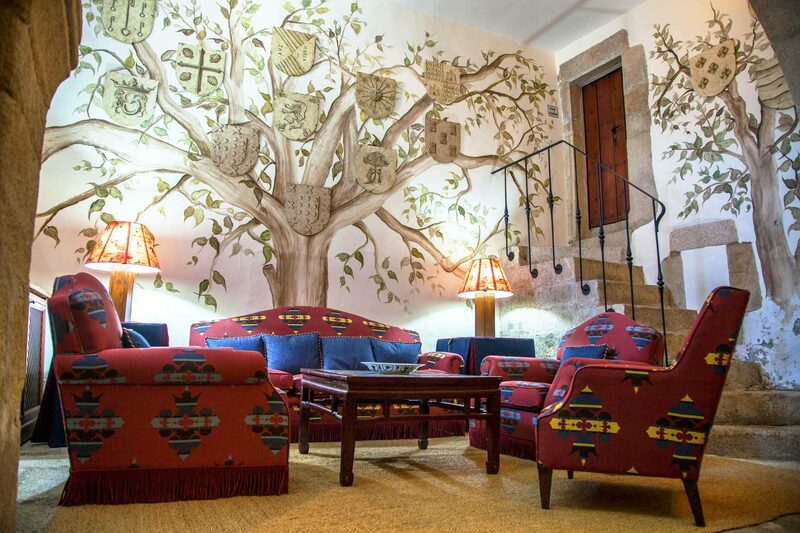 The Boutique Hotel in Trujillo Spain, birthplace of Francisco de Orellana, is set in the old city peaceful ambience, inside the wall-enclosed heart of Trujillo. 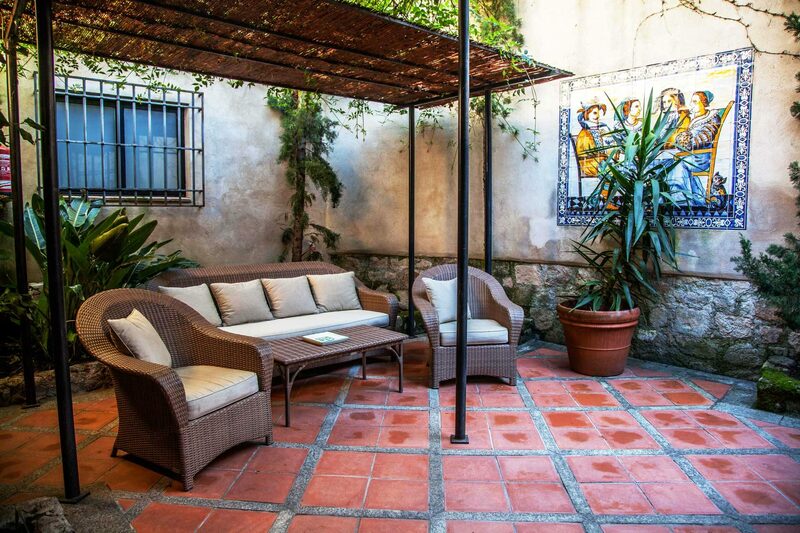 It offers the perfect location from which to explore the many historic and cultural attractions, and the city’s most representative adjacent buildings: the Santa María La Mayor church, the Chaves-Mendoza palace, the Altamirano fortress, the San Andres gate, the Alberca, the Coria, Gargüera Street, the Bejarano fortress, the Escobar fortress house, the manor houses of the Chaves-Calderon-Carvajal, Rol-Zarate y Zuñiga and Alvarado, the Plaza de los Naranjos, the Santiago Gate and Church, the Almirante tower and the Pizarro House museum. All unmistakable symbols of Trujillo’s medieval past. Steeped in History, a privileged situation, within easy reach of Plaza Mayor (main city center), where the bronze statue of Francisco Pizarro is found, a universal work of the North American sculptor Charles Rumsey. Within the walled medieval City of Trujillo, hard by the 13th century church of “Santa María La Mayor de La Asunción,” stands the noble ancestral house in which was born the explorer and Discoverer of the Amazon, Francisco de Orellana. 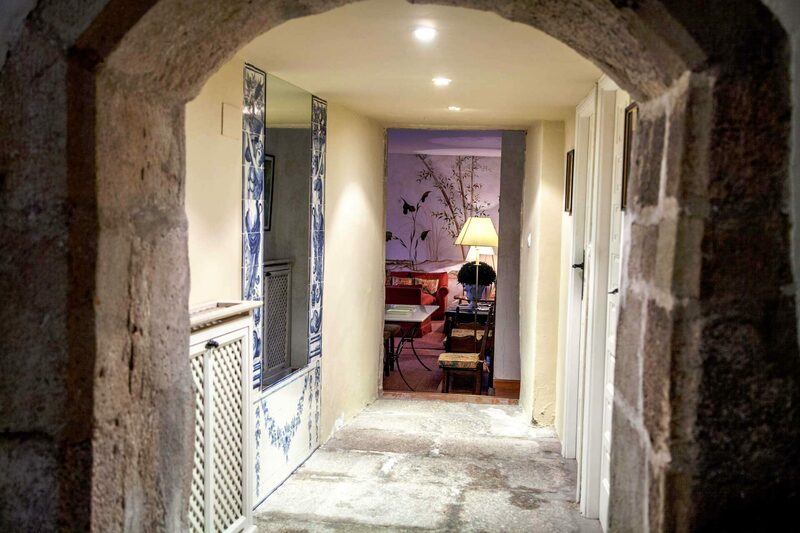 Watched over by its crenellated tower, this private historic Boutique Hotel, with its arched entrance under the shield of the Orellanas, offers testimony of a city that for centuries lived the protagonism of its historical era. Excellent and exclusive location. The privacy of its surroundings, its enchantment. A unique and noble edifice, ideal for quality tourism, cultural, historical, artistic and intellectual. Discreet and residential. Trujillo, “Cradle of Conquistadors”. Birthplace of the conqueror of Peru, Francisco Pizarro, and of Francisco de Orellana, discoverer of the Amazon River. It is located in Extremadura, between the rivers Tajo and Guadiana. A short distance from Cáceres, Guadalupe, Yuste, Plasencia, Mérida and Mofragüe National Park. Halfway down the Madrid-Lisbon freeway. 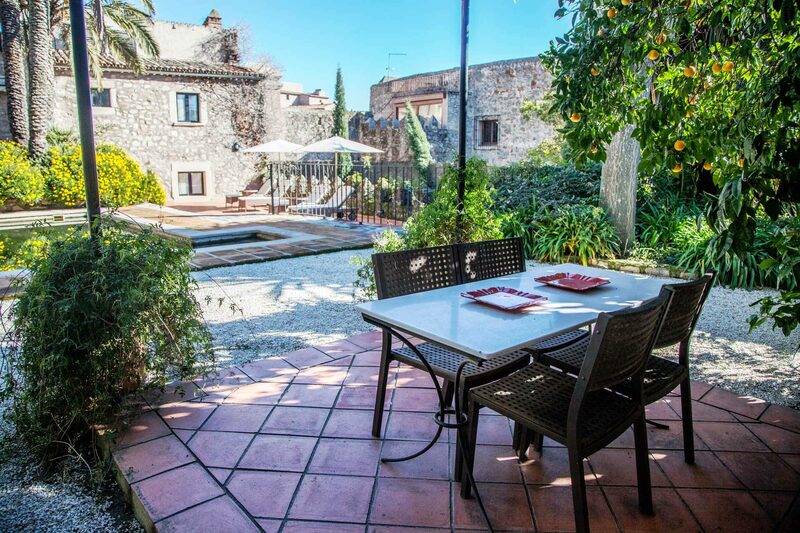 Its magnificent Castle dominates the town and the surrounding plains. 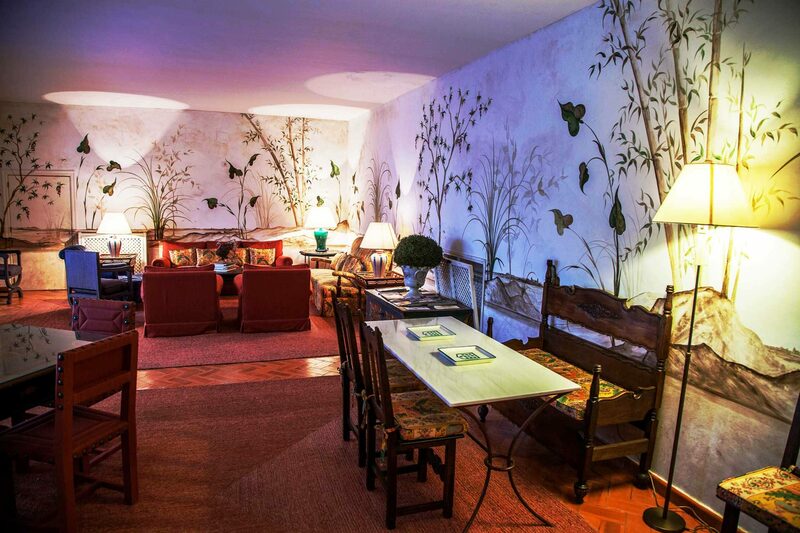 The Boutique Hotel Casa de Orellana has been exquisitely refurbished by the renowned decorator Duarte Pinto Coelho. 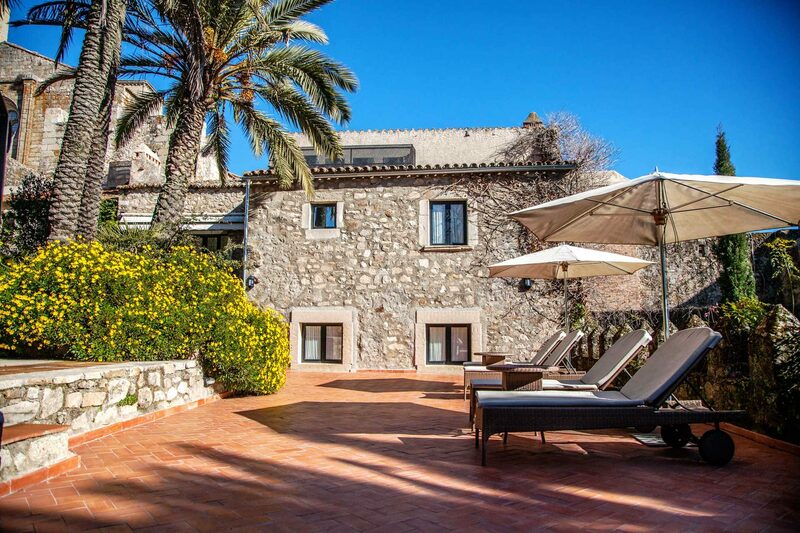 It has a patio and garden, with an outdoor pool for the exclusive use of its guests. 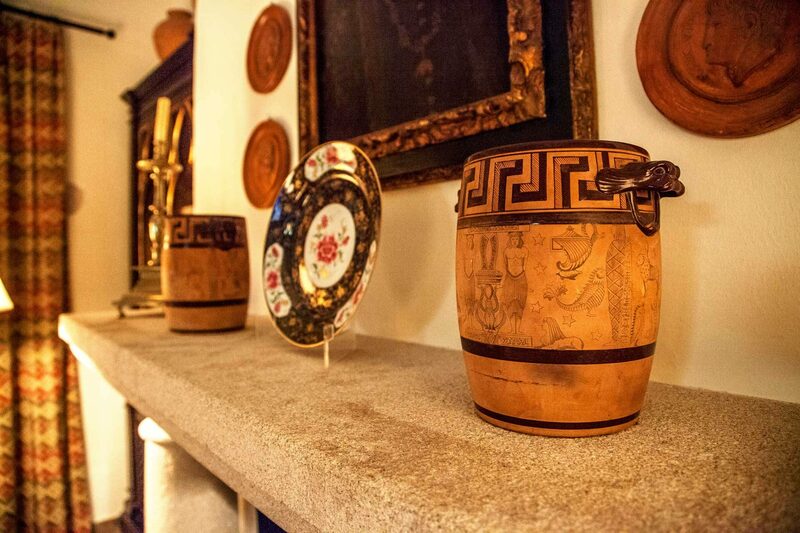 We provide an exclusive catering service and can organize cultural events. 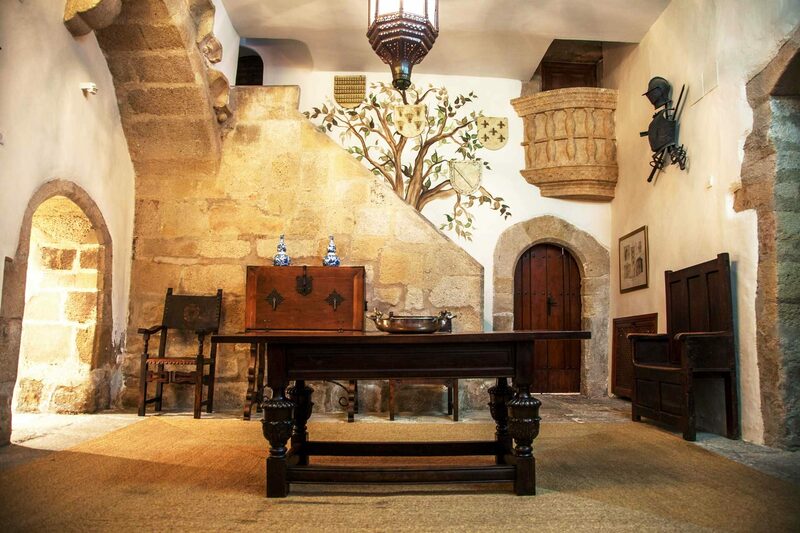 More information can be obtained from: Catering in the Medieval Villa of Trujillo. 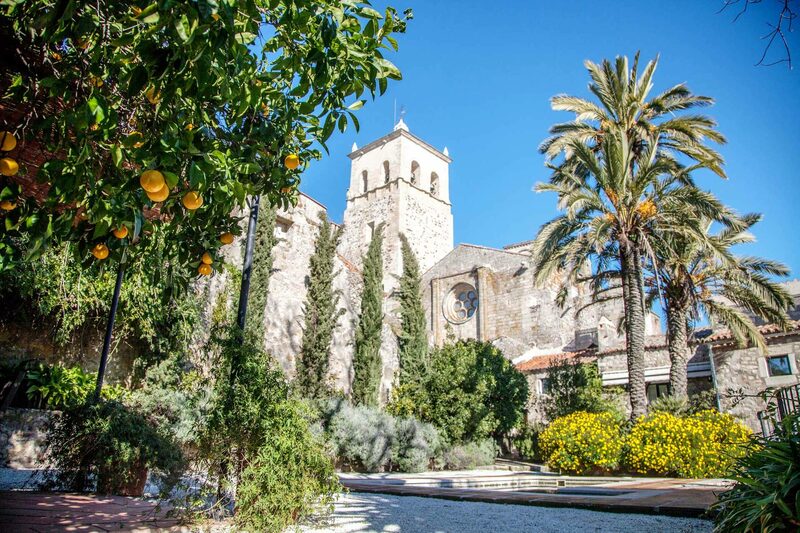 A fantastic hotel with only a few rooms who have all acces to the “tropical” patio with a small swimmingpool and a view of the towering church behind the hotel. Place for a romantic, restfull stay. 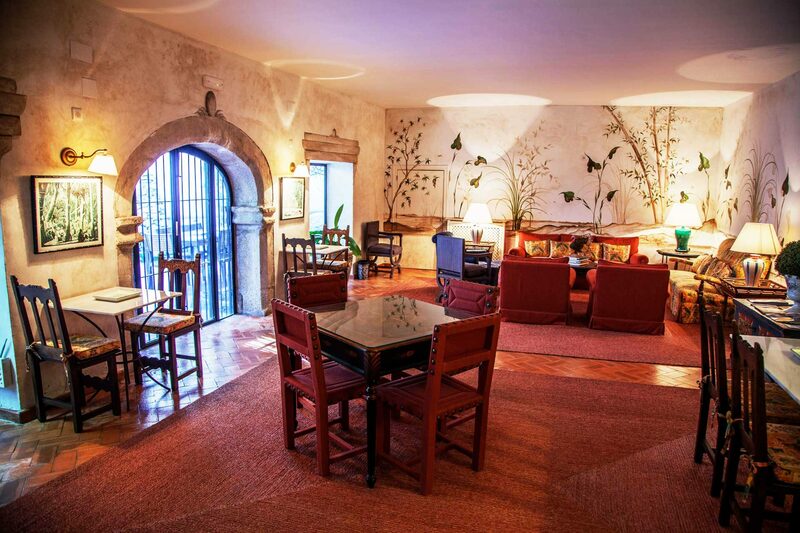 The rooms are spacious and have excellent modern bathrooms. We travelled through the Extremadura on the back of Buddy Levy’s stunning acount of De Orellana’s ‘Voyage of Death and Discovery Down the Amazon’ and Pizarro’s last stand at Jacquijahuana, up in the Andes. 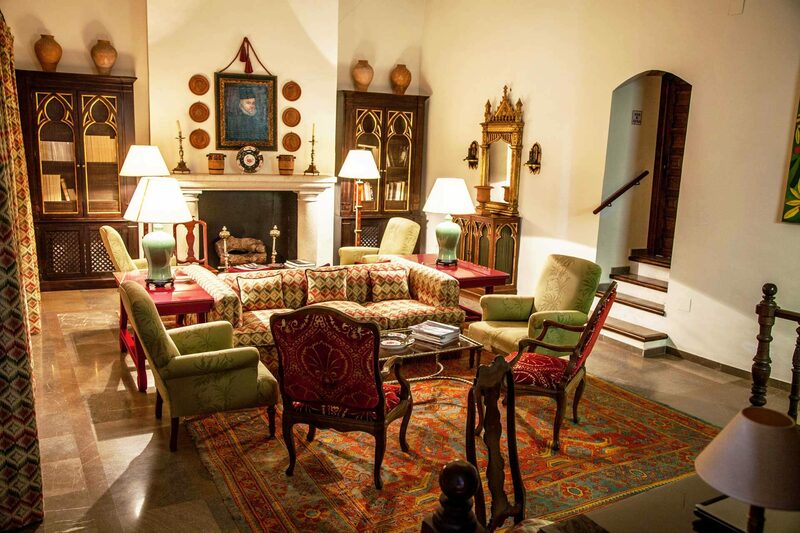 © Hotel Casa de Orellana 2016. All Rights Reserved.